Ok ok- that's not entirely true (at all), but that's what Little Miss O thinks. You see, sometimes I make up stories to explain why she should or shouldn't do certain things...and since the girl doesn't like mushrooms, this little tale of mine has proven quite enough to put a stop to the 'but I don't wanna have a shower now Mummy' tantrums that I hear all kids pull at some point or other! On the topic of stories, I have a confession...and this is probably an awful thing to admit from someone who loves to write, BUT I was never much into reading as a child. The thought of sitting down, quietly with a 'novel' pretty much filled me with dread - bleugh! I just didn't 'get' the meaning behind the stories - the stories that seemed to take forever to get to the point, the stories that seemed to bear no resemblance to my own life, thoughts or ambitions. 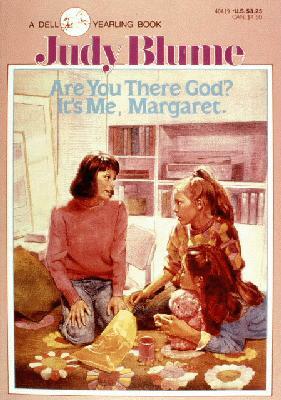 In fact, the only book that I really engaged me as a child was 'Are You There God, It's Me Margaret' by Judy Blume'! I was also enjoyed 'Charlie and the Chocolate Factory', but that was because of the chocolate (!)... and if anyone asks, Roald Dahl himself is to blame for my undeniable chocoholic-ism! It is fair to say that pre-1995, I just wasn't interested in the written word. That is until I accompanied a friend and her parents to watch an open air performance of a Shakespeare play. Now, I can't remember whether it was Othello or The Taming of the Shrew, but I can remember that there was a character called 'Bianca' in it! I was only 10 years old, and it only cost £3.50 (which seemed like a lot of money then), but I was fascinated. It was my first play, my first open-air play, and my first experience of 'live' art. I relished just being in the atmosphere and although I didn't understand the language of the performance, I finally 'got it'...I 'got' literature...the words came alive and I understood. Anyway, today on the radio 4, I learnt that it is World Book Day on 1st March and I'm really excited (I still surprise myself by choosing this station sometimes!). I'm even thinking about entering the Storytelling Superstars Competition... you just have to upload a video of yourself (or whoever) reading a kid's story... simple, right? Now, all I have to do is decide which story to read and how I'll make it 'magical'. I am sure Little Miss O will be full of ideas..! What is/was your favourite book? I'm not in the habit of posting videos on my blog, but this is one that I just had to share. I can't remember how I stumbled across this clip, but I did and I'm so very glad! This dance routine has brought Little Miss O and I many hours of fun. She doesn't understand the lyrics, but she gets the dance moves. She's currently trying to persuade me to 'make me on TV like the funny dancing man'.... I took this to mean 'let's make our own version Mummy!'.... and I have to say, for this, I would be tempted! Until then, I look forward to performing this routine in the a club near you with my cousins and sister! Ladies, it's on! Hope you find it as entertaining as I do!! !